Who says New York is for the young? What you need to know about finding quality elder care in a city rich with options—if you know where to look. 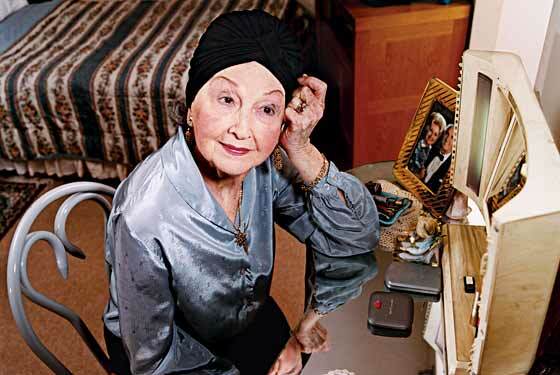 Assia Gichman, 88, in her apartment at Lott House. N ew York, or so the thinking goes, is a city for the young. It’s impossibly hectic, ridiculously difficult to maneuver, and literally and figuratively cold. Oh, and everyone who lives here is absurdly thin and gorgeous, and maniacally energetic. Anyone over 60 would be better off living in Boca, right? New York: A City for the Old? The truth is, New York is a more felicitous place to grow old than you might think. You don’t need to drive, virtually anything can be delivered, the world’s best doctors are here, and there are enough senior-minded outings, clubs, and yoga classes (not to mention the opera, Broadway, and the occasional White Stripes concert for the young at heart) to keep half of the AARP happy. “There are more services available in this city to meet the needs of both the well and the frail elderly,” says Linda Hoffman, director of the nonprofit New York Foundation for Senior Citizens, “than in any other city in the world.” Perhaps most surprising, New York is home to any number of excellent elder-care options for those who are ready for some help. The trick is separating the good from the bad. Happily, we’ve done some of the sorting for you. On these pages, you’ll find a list of 20 highly recommended elder-care facilities in the five boroughs and nearby communities, divided into five categories: independent living (residents essentially live on their own with other seniors, with some assistance—meals, housekeeping, and group activities are typically provided), independent-living centers with additional care (it may include specialized Alzheimer’s support or, say, full-fledged nursing), assisted living (essentially independent living, with additional assistance in daily care), nursing homes (senior living with around-the-clock care from licensed health professionals), and continuing-care retirement communities (facilities that offer increasing levels of care as residents need them). To select the facilities, we canvassed experts, including geriatric-care managers, watchdog groups, elderly advocates, and government officials, and asked them to name the most highly respected programs around—the places where, should the need arise, they would go themselves (we didn’t just take their word for it; we also did our own individual site visits). Alongside their choices, you’ll also find advice on how to find the best home care and how to pay for any kind of care you choose. The list of facilities, it’s worth noting, shouldn’t be read as exhaustive (there are other excellent centers), and no choice should be viewed as infallible (all centers have weaknesses). That said, the ones identified here are, by expert consensus, some of the best in New York. That can make for a useful resource, we hope, for you or someone you love. Table of Contents: Dec 11, 2006 issue of New York | Subscribe!